Get Out Of Your Underwear! Nice underwear! 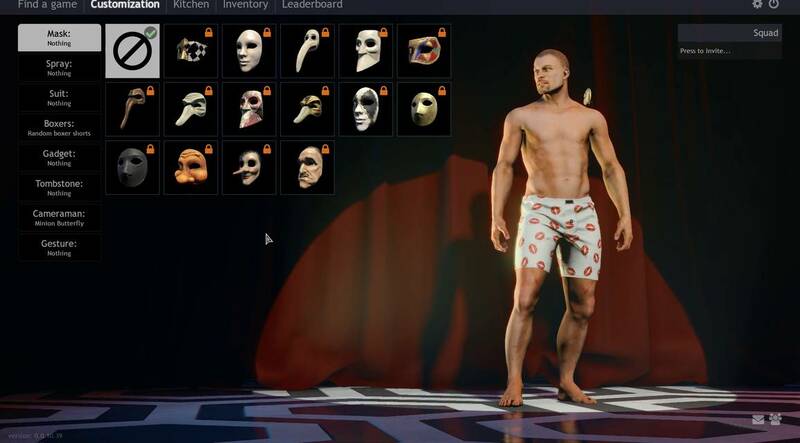 The more you play, you can unlock cosmetics from masks to tops that will keep you warm, we promise. Cuisine Royale is a free to play battle royale game that often times feel like parody of the heavy hitters of the genre. 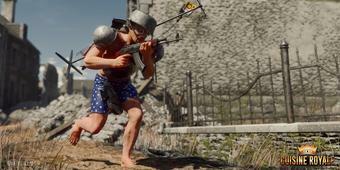 Marketed as a free-for-all using kitchen utensils for weapons, the game shares the same formula as conventional battle royale games but does enough to make parts of it interesting. After a quick 10GB download, you'll hop into the main screen and notice that you're in your underwear. Nothing to worry about as it's commonplace for games like these to make you work and play to earn better outfits and equipment later on. Having no inventory, XP or kitchen collections, there's only one thing to do and that's play. Cuisine Royale offers three game modes - solo, duo and squad. Queue times are rather long but it's unsure if that's indicative of the current playerbase numbers. Remember, it's competing with a ton of more established battle royale games out there. The one cool feature it has though, is being able to switch matchmaking servers on the fly without needing to restart the game or use some crappy launcher. There are three locations available, in North America, EU and Easter Europe. Once you've successfully queued and gotten a match, the fun starts. 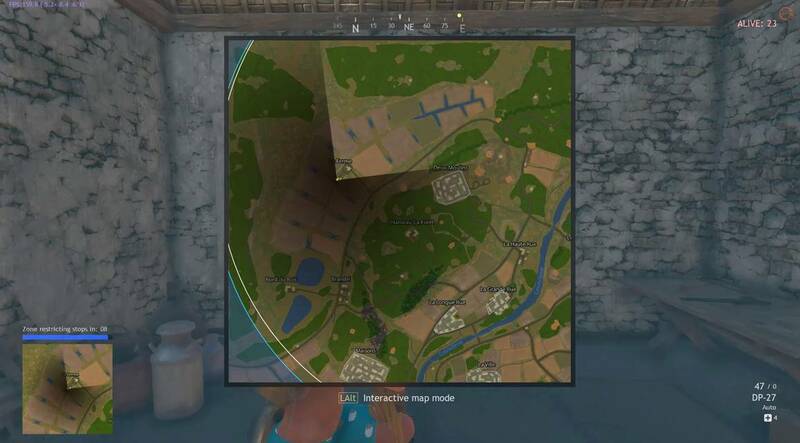 The first real big difference from games like Fortnite and PUBG you'll notice is that on solo and duo modes, you don't jump out of a flying vehicle and parachute down to your chosen starter area. Players immediately spawn in random locations on a cozy farm-town map with houses and other buildings strewn about. You objective in the first couple of minutes is to search and gather as much gear as you can. If you've had any battle royale experience in the past, this phase of gameplay will be second nature. 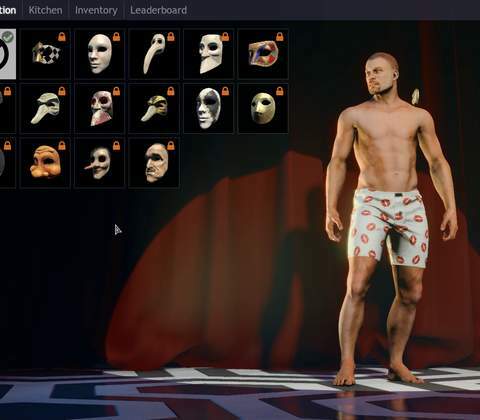 This is also where Cuisine Royale shows off its uniqueness. Instead of dropping Kevlar, helmets and other practical war gear, you get pots and pans instead. One kitchen pan I picked up was aptly named "Buttocks Armor" and your character actually hangs it on your behind. It's hilarious, and that's the theme of the game. 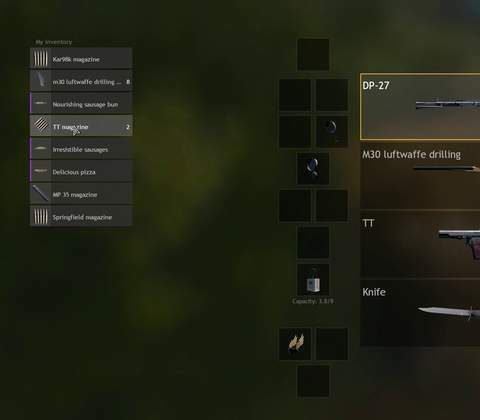 But there's nothing funny about the weapons - you'll be happy to see some cool guns that spans multiple eras, from WWII to the Cold War that can be used. For gameplay, firefights are decent and fun due to the adrenaline rush, but the overall package suffers due to a few issues. Firstly, the game isn't well optimized, so clipping is commonplace. 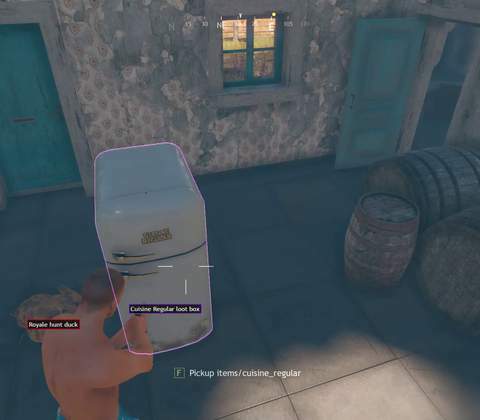 In one instance, I could see an enemy player's body and gear clipping through the door before they opened to enter, and that gave me a huge advantage. 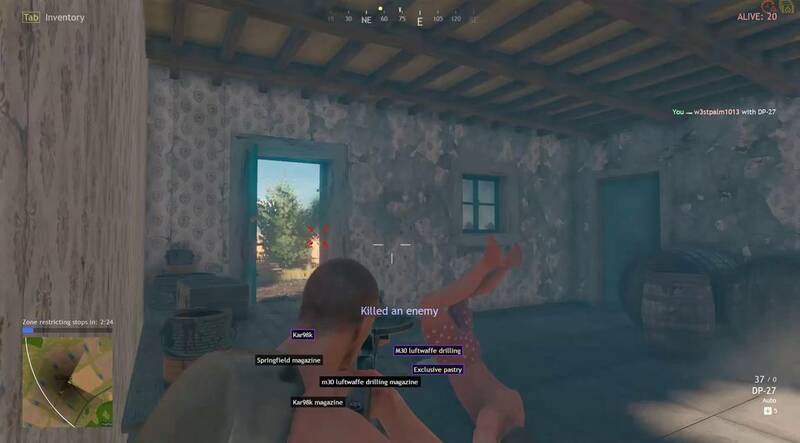 However, as usual with games like these, 4-player squad mode is perhaps the best way to experience Cuisine Royale, as the craziness and hilarity is multiplied four fold. 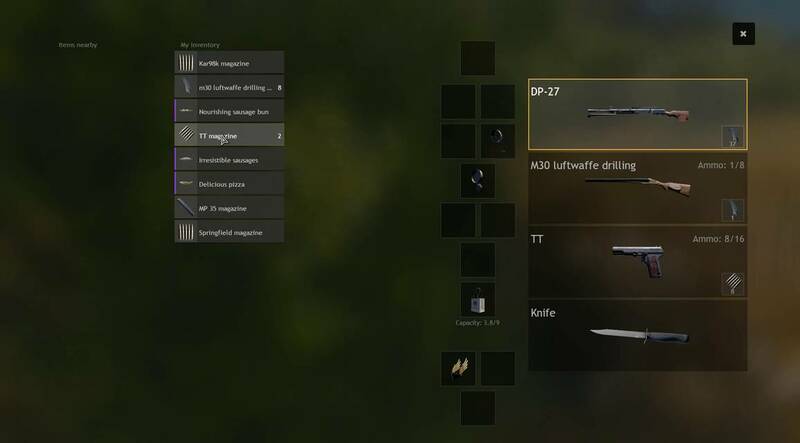 Can you earn cool cosmetics and level up your character? Yes you can. Playing matches awards you with XP points and other goodies that allows you to grow your inventory and earn cool outfits to get you out of your underwear. 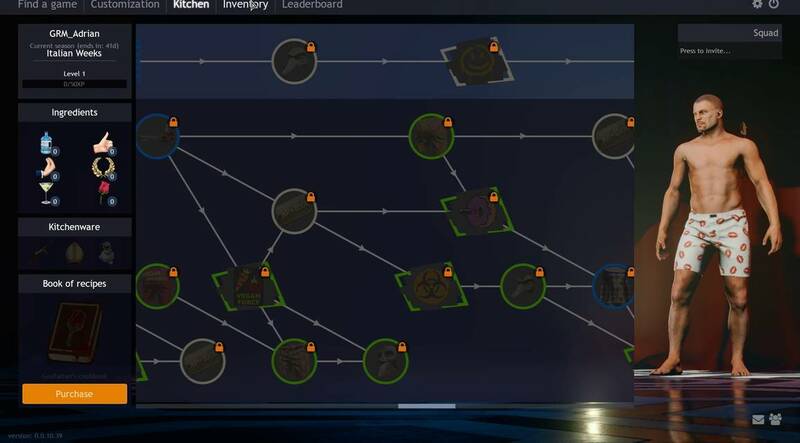 The game has a progression system called CookBooks where you fill recipe pages in order to craft a certain item, weapon or outfit. It's clever and thematic to the game, but most importantly, it's a fair way for players to earn progression rewards without needing to pay money. It does take a bit of work and will be a long term grind, and the alternative of course is to buy things from the Steam Store. In addition to that, Cuisine Royale also does have seasonal challenges and seasons, another common feature of modern battle royale games. Simple take part in simple daily missions like killing three players, or finishing matches in the top 10 and that will reward you with some good things as well. If there's one thing that Cuisine Royale needs improvement with, is its graphics and presentation. The game looks aged and dated and the surprising thing is that it was only released this calendar year in 2018. 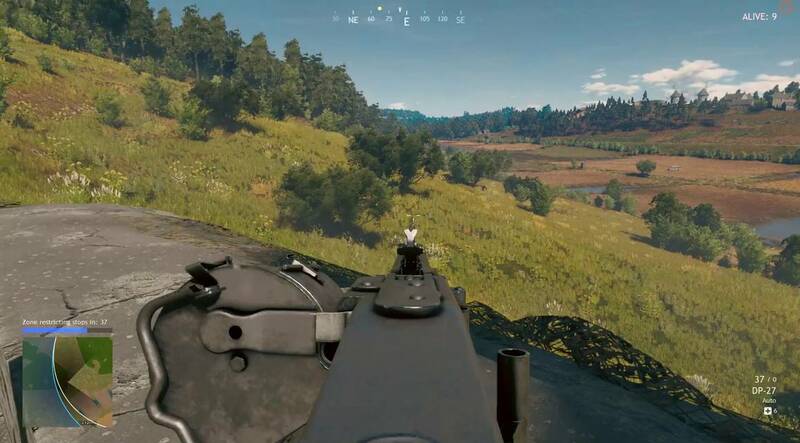 It looks like an alpha build of PUBG, which is not a good thing. If that's not bad enough, it also runs poorly on good gaming rigs. 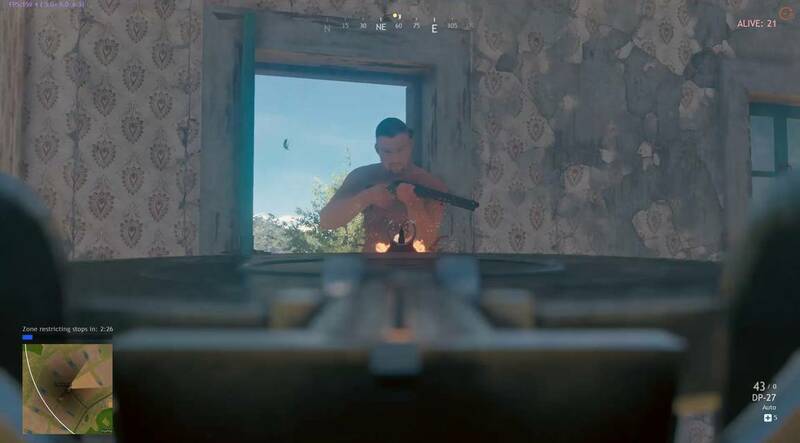 Highest graphic settings brings out issues like clipping and the occasional screen tear which can be frustrating, because Cuisine Royale is not an early access title. But since it's a free to play game, one can only hope they iron out these issues in the future. Should You Play Cuisine Royale? In conclusion, if you're looking for a battle royale alternative that feels like a parody closer to PUBG rather than Fortnite, then Cuisine Royale should do the trick. It offers that familiar rush that is only made extra comedic by the way you dress, look and of course the hilarious kitchen items that you use for armor. For a free to play game, it's worth a look, but it doesn't earn top marks for the host of issues it still suffers, like poor optimization and long queue times. 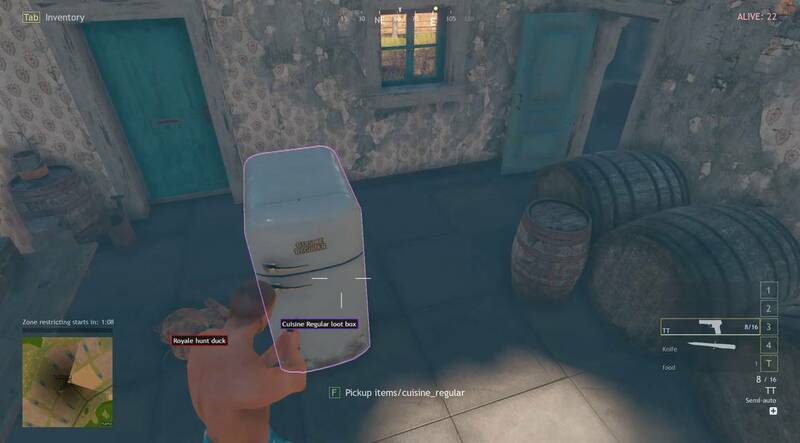 Prêt à entrer dans le monde de Cuisine Royale? Cliquez ici pour jouer maintenant! With so many battle royale style games out right now, Cuisine Royale differs through its use of cooking utensils. Frying pans, soup spoons and broth pots are all part of the gear system that actually gives you good armor instead of the usual Kevlar and familiar wearable gear.